The best friends are GamePoint friends! 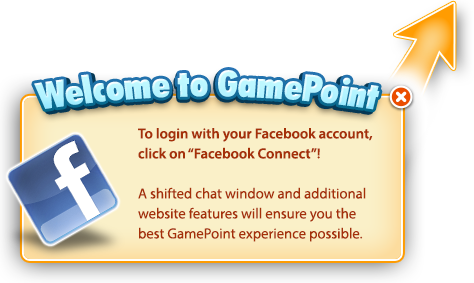 Friendship is what GamePoint is built on. For so many of you, the fun you have with your dear friends is the reason you keep coming back, because nothing's better than enjoying a game on GamePoint with friends! As a thanks for sharing your friendship with us and so many others, we're happy to share some FREE Coins with you! Click here to claim them. Game Point how come I can't play Ball N Chain? Hi Debra, the Free Coin rooms have unique limitations on them different from all other rooms. Players may not have more than 180 Coins when entering the room. (meaning, if they win or deposit while in there, that's fine, no one gets kicked out). This also includes Coins in your bank. And there's a max of 180 players per room. However, SuperVIPs have the ability to bypass this player limitation (not the Coin amount though). Happy Friendship day to all!! Happy Friendship Day to all everywhere! !